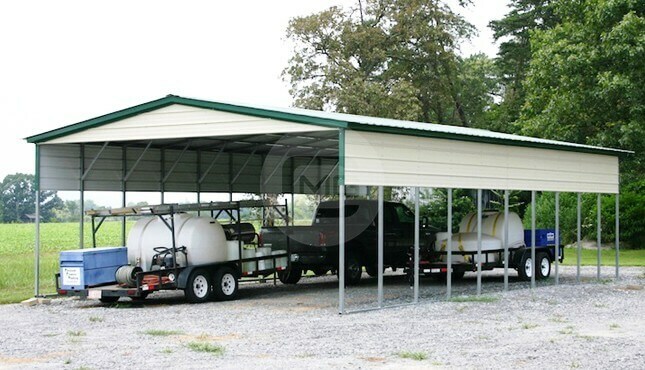 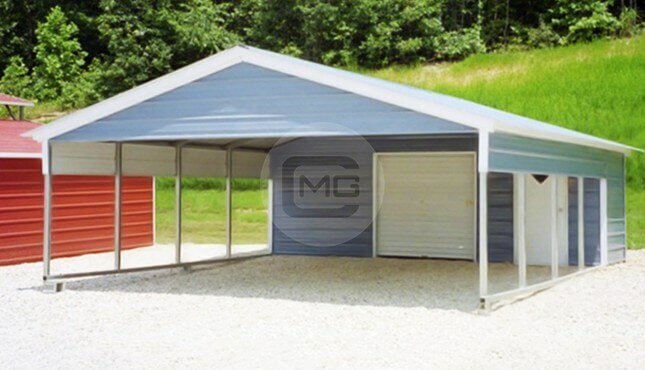 The design for this 48x26x9′ metal utility carport with attached garage, comprised of two 14-gauge steel 24×26′ buildings joined together, lends itself to an amazing variety of uses. 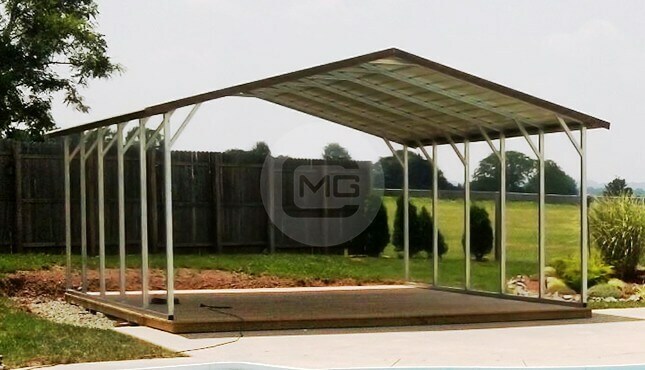 The steel carport can shelter large equipment, provide protection from sun or rain for family picnics, or serve as a nice open air workspace. 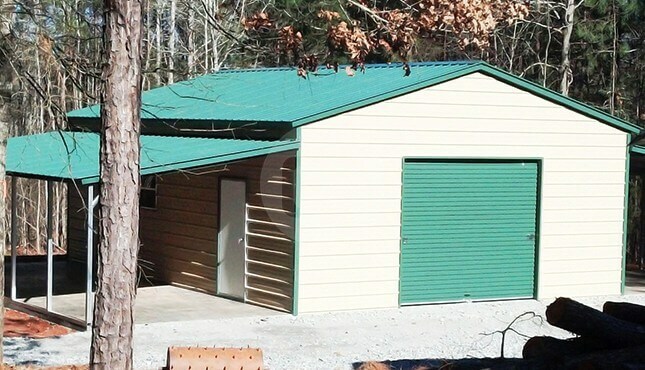 The garage offers an increased level of security and protection for vehicles, outdoor equipment, and more. 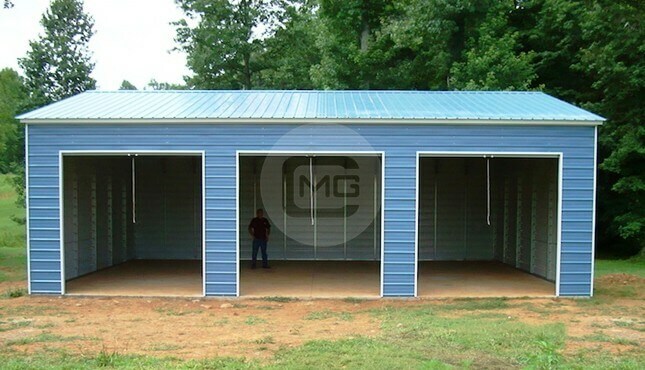 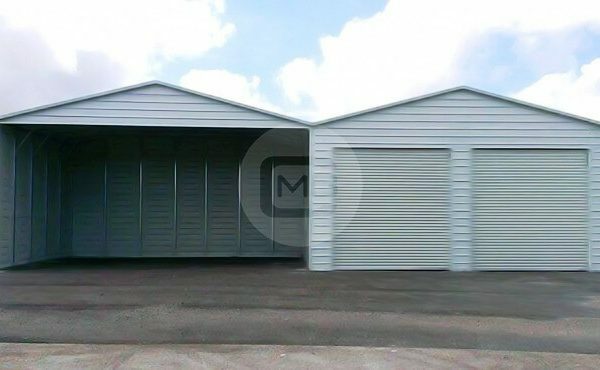 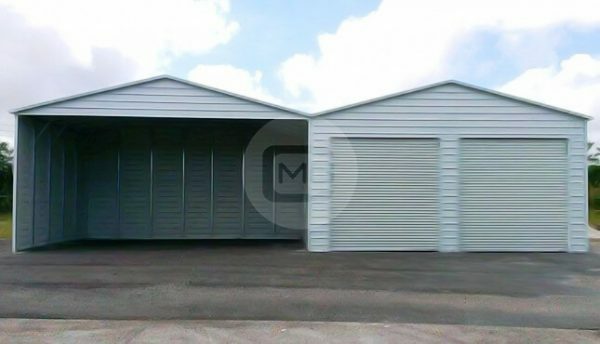 The metal garage portion is fully enclosed and features two 9×8′ roll-up doors. 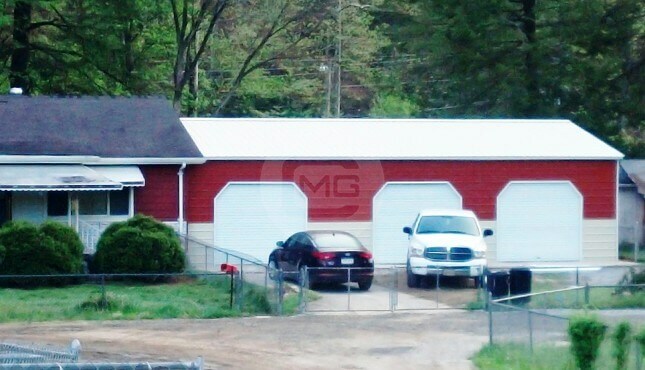 The metal carport section is three sided. 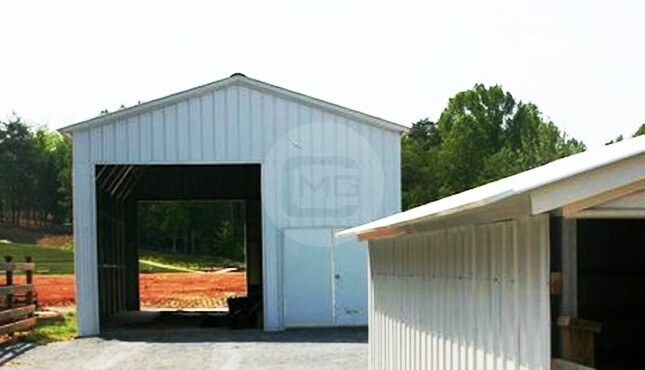 The front portion of the building has gable ends for additional strength and a finished look. 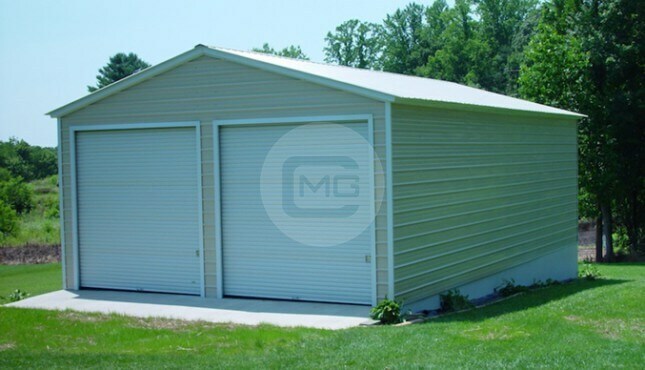 The vertical roof style makes this custom metal carport and garage perfect to withstand weather in any part of the country, even areas of high winds and heavy snowfall.